I was watching a documentary on storm chasers and made me think how much I enjoy watching a wild storm. Call me naive but is this Photoshopped by any chance? If not what storm is this? Looks shopped. 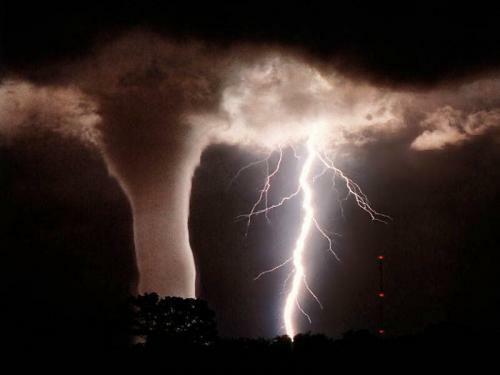 The chance of having a huge cloud-to-ground illuminate an entire tornado is pretty rare. Really it’s not that hard to do something like this in Photoshop. Photoshop is an amazing tool. can you explain WHERE ARE THE COWS?? Defanitely real. Its from National Geographic magazine. For those who don’t know, NG is famous for using undoctored photos. That means no photoshop touch ups. And lightening during tornado storms ARE common, AdmDraconis.